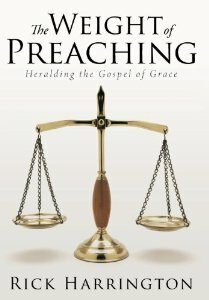 UPDATE: My first book is now available on Amazon.com: The Weight of Preaching: Heralding the Gospel of Grace (Hardcover and Paperback available). I am truly humbled and honored that some of my heroes were gracious enough to offer endorsements for it. To God be the glory.